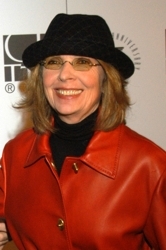 On a recent Today Show Matt Lauer did a special interview with Diane Keaton, one of my own personal favorite movie stars. 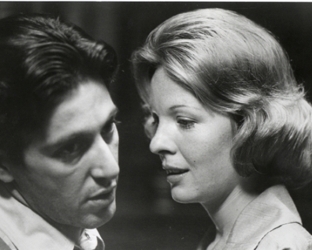 He started the interview by showing a clip of Diane in some of her memorable roles including with Kay Adams, the devoted wife in The Godfather with Al Pacino to the neurotic Annie Hall. After greeting Matt the always outspoken Diane said “I just saw that clip (as Kay Adams) of me and Al Pacino (The Godfather) and all I could think about was that wig. I’ve never seen so much hair on my head. I’ll never forget. It felt like 10 pounds. It was the worst experience (wearing that wig). Matt told Diane how much he loved her and Diane, looking sharp in a short volume enhanced bob teased him about liking older women. It was a cute exchange. Matt also expressed surprise Diane had published a memoir because she has always been a very private person, someone out of the limelight in all things personal. Even though the book was a memoir about Diane’s life, she realized very early on that it had to tell the story of her mom’s life. Matt said in the book Diane writes a lot about her life and a lot about her career. 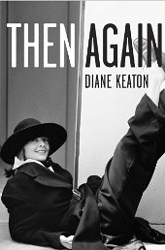 In the book Diane reports that “Something’s Gotta Give” as her most favorite acting role with co-star Jack Nicholson. Diane said it’s one of her favorite movies. Diane says in her book about the filming of “Something’s Gotta Give” that “it wasn’t the script, it was Jack and Jack can’t be explained. She told Matt after Annie Hall it was scary because she always felt kinda safe with her mom and dad but her dream had come true (of being a big movie star) and everything changed and she wasn’t sure she was capable of handling it all. This entry was posted on Sunday, November 20th, 2011 at 7:23 pm	and is filed under Celebrity News. You can follow any responses to this entry through the RSS 2.0 feed. Both comments and pings are currently closed.